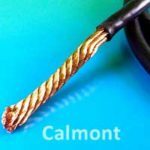 Calmont established itself as an industry leader early on with its innovations in ultraflexible wire and cable when Jet Propulsion Laboratory in Pasadena approached Bill Chilcote about designing a new type of cable for the Apollo Space Exploration Program. Ultraflexible wire and cable is specially designed to withstand the physical stress and tight bending demands associated with repetitive-movement applications. Standard wire and cable has a flex life of around 50,000 cycles before failing. 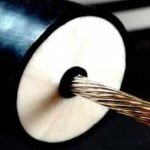 Ultraflexible cables are designed to complete 1-3 million cycles before failure and they can be manufactured using a range of conductor materials, strand configurations, wire gauge sizes, insulation wall thicknesses, shield materials, and jackets. We design and manufacture custom ultraflexible wire using using conductors with high strand counts to achieve maximum flexibility with improved flex life. 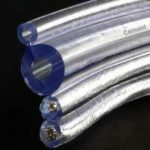 Calmont combines ultra-fine wire, stranded conductors insulated with extremely thin walls of silicone, FEP, PFA, PVC, PU, PE, polypropylene, and other flexible materials. Have a look at our Insulation and Jacketing Material Comparison Chart for more details. We combine the right design with the right choice of conductor and compound to produce wire and cable that will both fit your application and be long lasting. How Do You Define “Flexible”? Experience has taught us that each customer’s idea of “flexible” is unique. We believe it’s critically important to develop a deep understanding of your application and its flexibility requirements before we design your cable. So we do what a lot of engineering companies won’t, we make our design engineers easily accessible to you. That’s right, you can call and speak to an engineer without having to weave your way through gatekeepers and bureaucracy. Our engineers are happy to talk to you and ready to help. 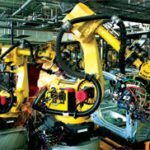 Ultraflexible wire and cable are most common in robotic applications. 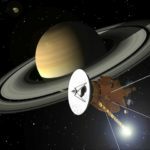 However, flexibility is a valuable cable attribute is a variety of applications like surgical handpieces, telescopes, and electronic testing devices. 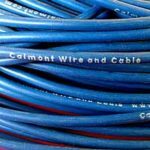 Calmont offers both custom and off the shelf ultraflexible wire and cable solutions. 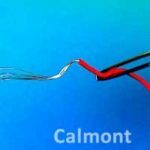 Calmont Wire and Cable also manufactures its own line of off-the-shelf ultraflexible hook up wires: SuperFlex, FluoroFlex, SiliFlex, and SiliFlex Ribbon Cable are industry leading, ultraflexible hook-up wire designed to meet the flexibility requirements of most common hook-up wires.